Dave died the day before his 86th birthday, after a brief illness. 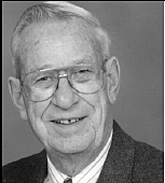 Born in Yorkton, Saskatchewan to Arthur and Sylvia Bishop, Dave spent most of his adult life in West Vancouver, where he enjoyed the view and excellent ham radio reception from our mountain-side home. A professional engineer, Dave owned his own construction company for many years, and in retirement never stopped building or fixing something. Woodworking was his longtime hobby, from furniture making to intarsia carvings. A ham radio operator from the age of 12, as VE7PO he formed friendships around the world. Dave was an excellent bridge player, and was always ready for a game of cribbage. He kept his sharp mind and keen sense of humour until the day he passed away. Dave married Dorinne Chater in 1949 and enjoyed 61 years of marriage to the women he adored. He is survived by Dorinne and their daughters Cheryl, Brenda (David) and Karen (Tim). He was predeceased by his son Craig. He deeply loved his family, including his sons-in-law, and grandchildren Jennifer, Graham, Taylor and Kyle. He had many friends and was grateful for having such a fulfilling and happy life. At Dave's request there will be no funeral service. A memorial reception will be held at 3:00pm on Monday, August 23, at West Royal Towers, main floor, 328 Taylor Way, West Vancouver. We will miss you every day and always, Dad. Dave received the BCDX Club Life Membership Award on March 18, 2008, in recognition of his "outstanding performance, dedication and lasting contribution to amateur radio over the years for hosting and maintaining the VE7RDX repeater on behalf of the BCDX Club." 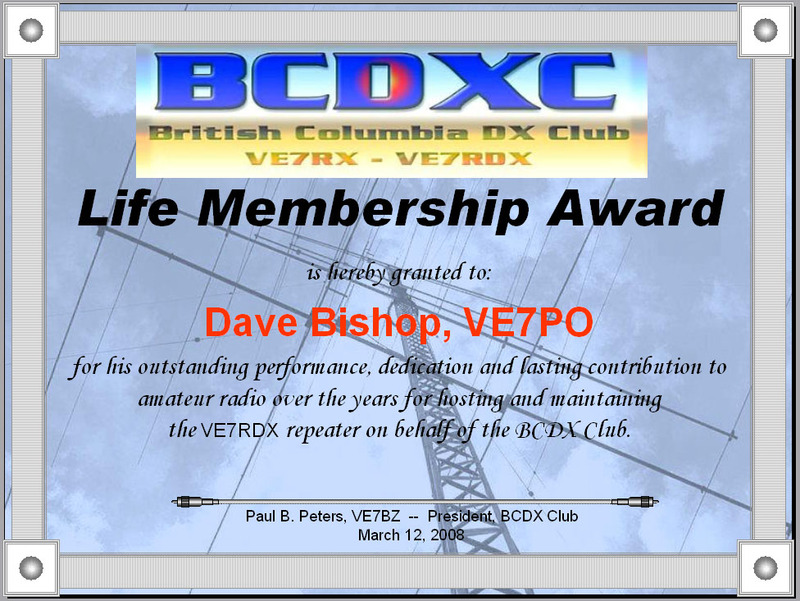 Dave was the host of the BCDX Club's 2-meter repeater for many years at his home in North Vancouver. "It provided great coverage and we had instant access if it was needed," recalls Dale Green, VE7SV. An accomplished DX operator, Dave had more than 300 DXCC entities confirmed on Phone. He will be missed by BCDX Club members for his generous contributions and support over many years, and by the DX community around the world. 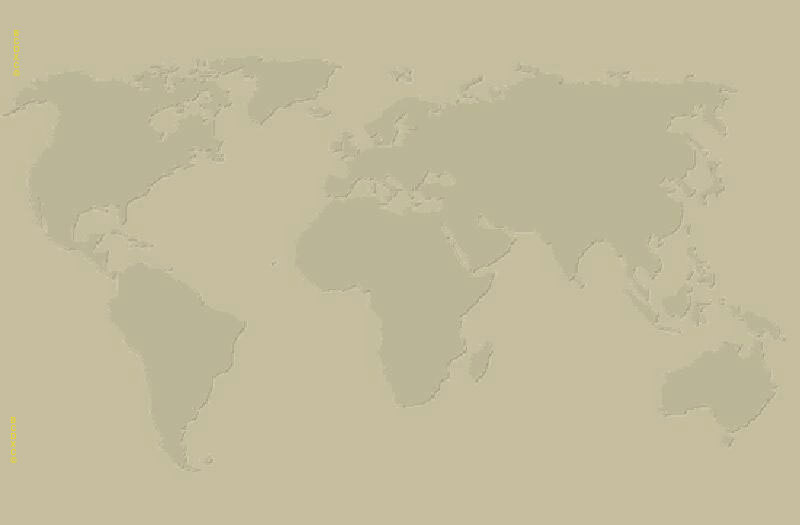 Copyright © 2010 British Columbia DX Club.